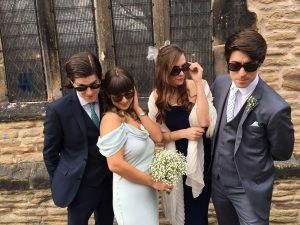 MMy daughter Victoria reckoned I should share these photos of her and my son Ben and their partners modeling Rayban sunglasses at their sister Libby’s wedding a few weeks ago. 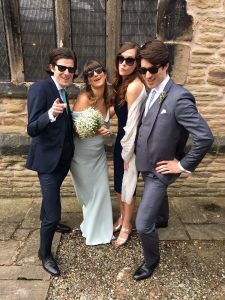 We have a large range of Rayban sunglasses in stock at our Stowmarket practice. We can order frames in to either practice for you. Our prices our keen too. And we always offer a high level of service what ever you need from us.